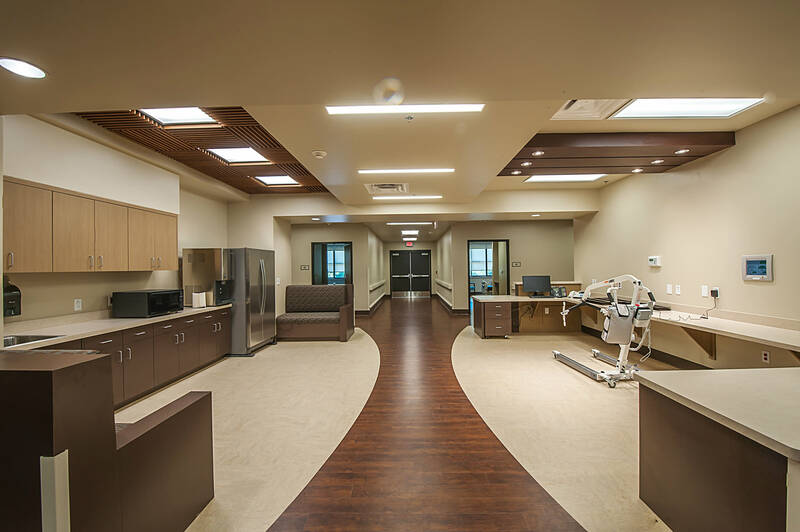 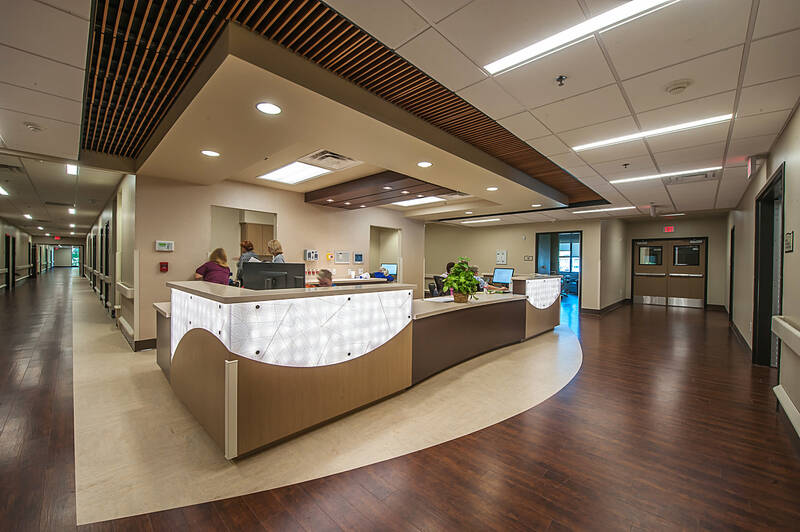 The new 26,000 SF Maxim Rehabilitation Hospital houses 26 patient rooms, rehabilitation equipment rooms and a full service kitchen and cafeteria. 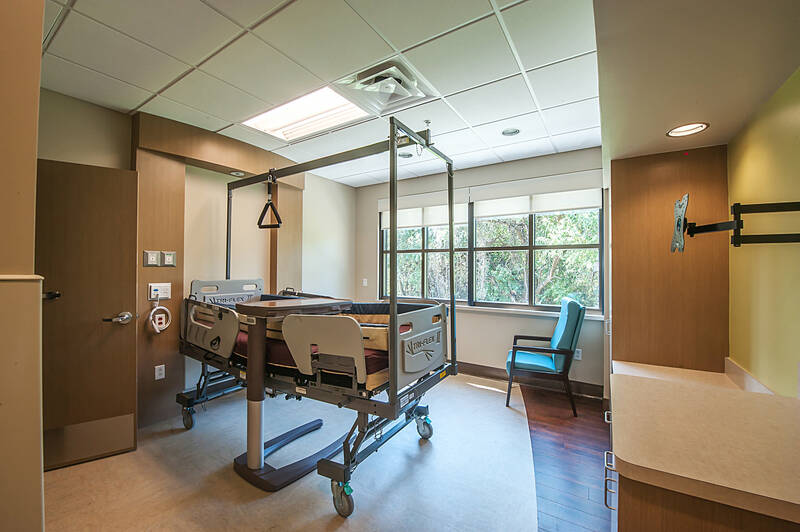 The physical rehabilitation space offers physical therapy, occupational therapy and speech therapy as well as ADL training areas. 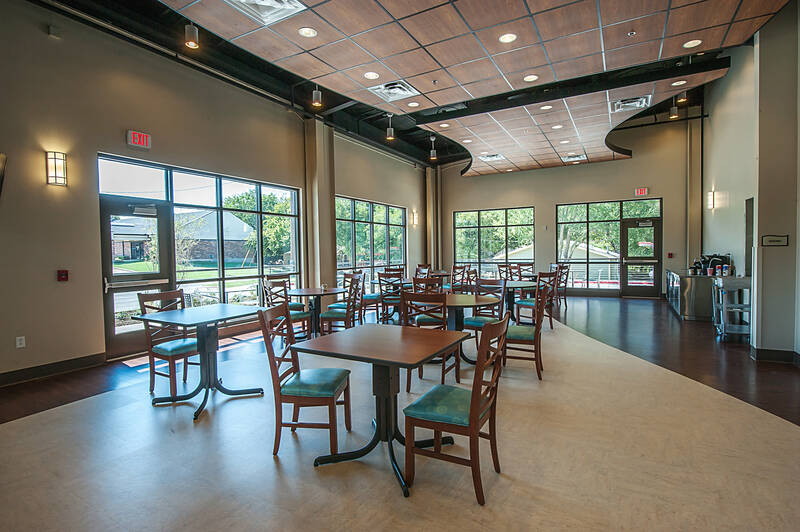 An outdoor therapy garden allows additional therapy on a variety of walking surfaces and is connected to the walking trail with scenic views to a creek area.